Declaring things dead is nothing new. Every day someone declares something dead. 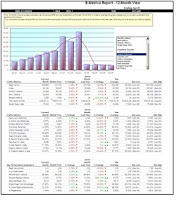 For example, in 2007 many people were declaring page views and even web analytics dead. Well here we are three years later and neither of those is dead yet. Now many Social media “experts” including Facebook’s COO have declared that email is dead and social media will takes it place. Ben and Jerry’s in UK dropped their email campaigns in favor of social media. Is email really dead? Is it a question of either or will both exist going forward? Few recent studies show that email is not dead (yet). According to an article by eMarketer, email still drives shopping over social. 37% of the shoppers prefer email as the promotion delivery method while only 9% prefer social. Considering that social media (online social media in its current state) is still in infancy these numbers are great but this also shows that email is not dead yet. According to ExactTarget’s “Subscribers, Fans and Followers” report, most internet users engaged with brands only via marketing emails. They also found that there is significant overlap between the three channels and vast majority of social media fans or followers were also email subscribers. Nearly a third subscribed to emails in addition to being fans of brands on Facebook. (Source: How Are Email, Facebook and Twitter Audiences Different? Considering that both email and social media are important, many marketers are using the power of email to spread the word about their social media presence. 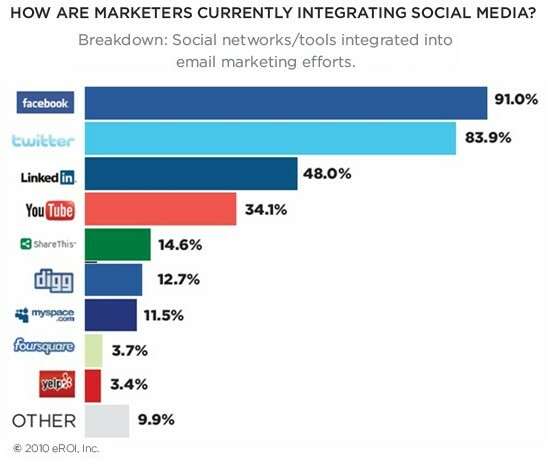 Two-thirds of the marketers surveyed by eROI say that they are integrating social media into email. For now, email and social are co-existing. I suggest that you start integrating your social media into email campaigns if you are not already doing it. Every customer segment behaves differently and you need to look at your own data rather than reply on some social media expert's advice to draw any further conclusions. Shoppers, via their online and offline actions, provide a ton of information to the marketers. Smart marketers can and should leverage this information to understand shoppers motivations and needs to create a better relationship with the shoppers and ultimately make more money for their organizations. Every customer touch point is a goldmine of data. It starts from the keywords that shoppers use to arrive to your site, the links that they click on to get to your site (and the sites they visited before they came to your site), clicks on emails, clicks on banners, every click and every action on your site, purchases etc.. All these actions by the shopper provides you with the information that you can use to follow the shoppers. What does following the shopper mean? In simple terms, following the shopper (visitor) essentially means using the shoppers behavioral data to understand the shoppers’ needs and then serving them with personalized ads/messages/offers , wherever you see them online, to bring them back to you site to buy from you. (This concept goes beyond online though). Following the shopper has several other names such as Behavioral Targeting, Retargeting, Remarketing etc. Who is following the shoppers? Pretty much all the major eTailers follow the shoppers (read my posts on Behavioral Targeting to see how widespread this is). eCommerce giants have been following the shoppers for years using some combination of in-house solutions and 3rd party solutions. Recently they have also tapped into cookie exchanges to reach shoppers who have never been to their site. ( More on cookie exchanges in future post). Can small retailers with limited budget do this? Yes they can. 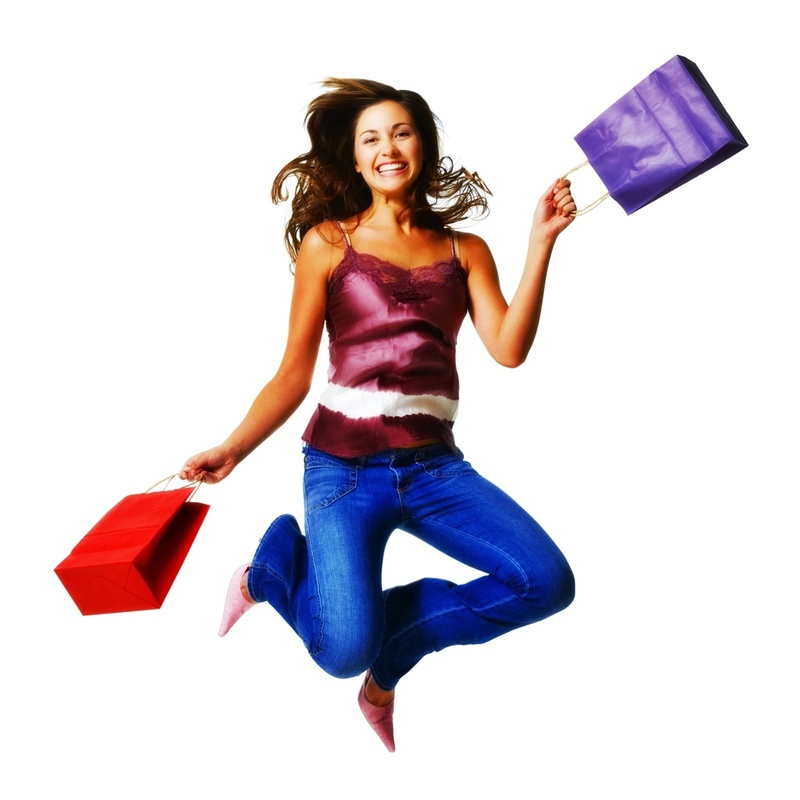 Until recently small eTailers did not have the know-how or the money to engage in such activities. But that has changed now, Google has came to the rescue of small/medium retailers with Adword remarketing. More and more small/medium companies are now “Following the Shoppers”. Sounds good, right? But wait before you jump into it. Remember, Remarketing is not easy and there are privacy concerns. You should think and plan before you leap into remarketing because if it is not done right then you can make your customer uneasy and risk losing them forever. (see my post titled 5 Questions to Ask before Starting a Retargeting Campaign). Well you can start on this blog and shoot me any questions you might have. Tomorrow, I am going to be moderating a panel at OMMA Behavioral in San Francisco on this very subject. Every day I come across some scheme telling me how I can gain more twitter followers. Many so "Twitter experts" talk and write all day long about how to get more twitter followers. But how do you know if you have (or are gaining) the right kind of followers? Some of your follower constantly engage with you and you probably know who they are. But what about the rest of them? Who are they? What do they do? Are they the right audience for you? How can you create a right message to get their attention? 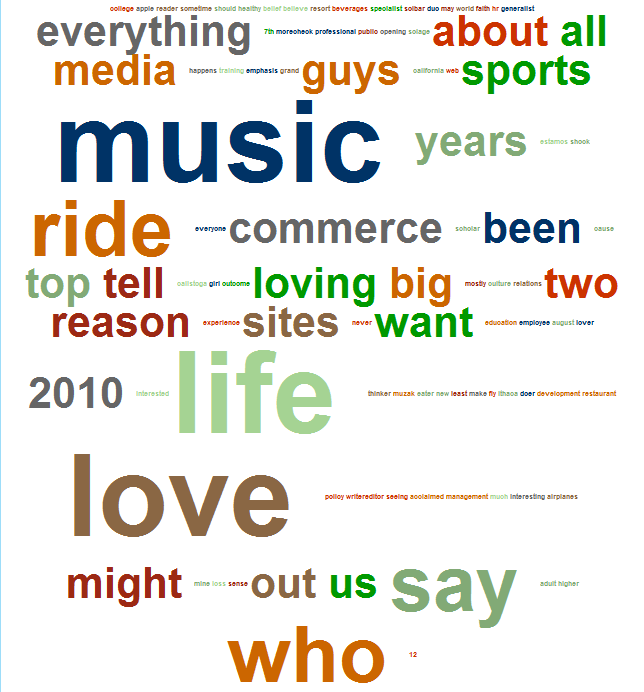 One way to understand your followers is to look at their twitter bios and analyze the stuff they are tweeting about. This will help you gain understanding of their motivations. But all this is not trivial, so I started looking for a tool that will help me do this. Well, I had partial success and found a tool called TwitterSheep . 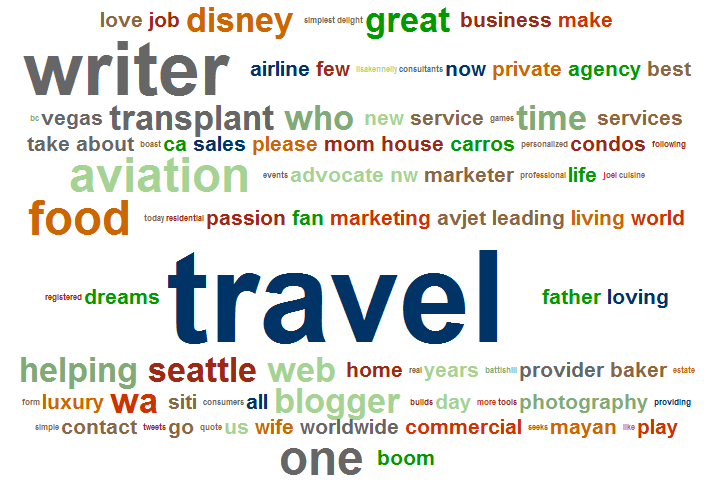 TwitterSheep allows you to build a tag cloud based the bios of your followers on twitter. However it does not allow you to build a tag based on the tweets of your followers. As mentioned above this tool does not provide all the information that you need to understand your followers. Knowing what your followers tweet about; will be even more powerful than just their bios. Their tweets will tell you exactly what triggers their interest and help you in engaging with them. But TwitterSheep does not do that yet. So for now I will take whatever I can get (Hope TwitterSheep team is paying attention). Twittersheep is also a great addition to my competitve analysis tool. 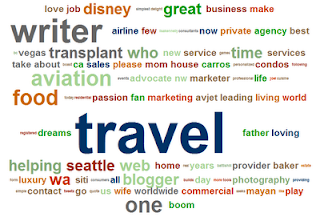 You can build a tag cloud for the follower of your competitors and see how their followers compare to yours (See below how @alaskaair follower compare to @virginamerica.). 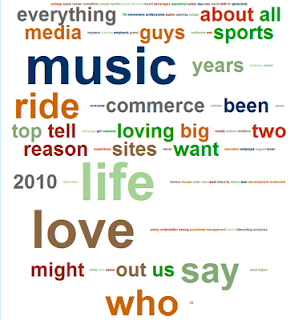 I have not yet found any other tool that will let me build a tag cloud of what my follower are tweeting about but I will let you know if I find one. If you know of such a tool then please let me know. If you are a developer looking to build more stuff on twitter API’s then here is an idea for you, ping me and I can provide you more information. In a recent article on Ad Age, I came across an interesting article around increasing importance and emphasis on Dashboards. 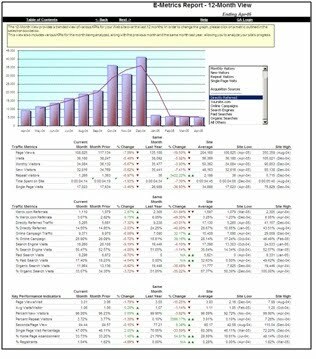 I always thought that Dashboards are native to analytics and that it ought to be adopted by everyone organizations by now. Aren’t discussion around Dashboard as old (even older) than Web/Multi channel analytics. After reading the Ad Age article along with my experience with clients I have come across an increasing need by clients to PROVE the effectiveness and efficiency of ad spend. Presently, marketing executives appear to be singularly focussed on ROI. The question we ask ourselves is that is it the holy grail of all measures? Should we move away from ROI as a single measurement of performance and add other factors to provide a (more) comprehensive view or a meaningful picture of marketing effectiveness? If so how do we share or present this data? When we ask these questions the importance of Dashboards and Scorecards become increasingly relevant and important. Whether you are a CPG, B2B, Telecom, or Retail it is critical to align yourself with your corporate strategy. If the priority is to democratize data then every effort should be made to integrate online and offline systems to share the data up and down the value chain. Usually creating a deployment plan for Dashboards is a good start. One doesn’t have to create an all encompassing, visually appealing dashboard from the get go. Start somewhere, even if it is excel, ensure data integrity, and most important think action/outcome as opposed to numbers. The next important area where organizations generally miss out on is creating target and benchmarks. If you don’t aim you can’t hit the target. Consider targets based on priority or goals based on historic measures and ad spend. This will be the first step towards transparency and data democracy in your business unit or organization. Ask yourself this question: If you were the top brass in your company or your marketing organization what would you care about? This question is easy at first but as you drill in you will find yourself in a rabbit hole. At least I still do. Executives will think about Branding, Voice of Customer, and Demand Generation. CXOs will always have an interest in understanding these activities. It’s important for you as a practitioner to obtain these inputs which ought to be the second step in the Dashboard creation process. Net Present Value: How much value an investment will result in? Usually, this is done by measuring all the cash flows over time to a future date. If I had 100K in 1910 how much will the 100K be in 2010? Usually calculating NPV is difficult because you don’t know what discount rate to use (rate of inflation vs. Treasury index) but one can think in these terms when considering large scale projects and it’s potential return. Payback Period: Say you invested 100K in your marketing program, if it returns 50K per year then you would have a two year payback period. It is a good metric for calculating and minimizing operating costs. Customer Satisfaction: It measures how products or services meet or better yet surpass customer expectations? In a competitive market space, CS is a key differentiator and a key element of business/marketing strategy. Brand Awareness: It measures the consumers knowledge of brand existence or recall as many like to call it. It is usually qualitative in nature. Cost Per: These are the compound metrics which Anil has written about and it’s all about integrating disparate data sources to provide a transparent view on the success of a program. I am sure you get the idea now, having carefully selected measures will not only allow you to get a pulse on the reality, it will also allow you assign accountability to the right people. If for example, customer sat is low, consider taking immediate action on areas where this can be mitigated. If your Cost Per’s are underperforming, you can pick up the phone and ask your marketing guy/gal/agency as to where or how the money is being spent and to have them consider optimization strategies. Data overload: At most have no more than 7-10 performance measures. This way end users are not overwhelmed and data is actionable as opposed to regurgitable. Lack of Benchmarks: Smart marketers understand the value of benchmarking. Context is king. It allows you to measure yourself against past performances as well as set standards for ongoing campaigns. Scoring System: Consider the “traffic light” scoring system. This is a quick indicator and allows users to focus on areas which need attention. This is a guest post from my friend and ex-coworker Kanishka Surana. Kanishka is currently the Head of Web Analytics for Ogilvy. He runs Ogilvy's Web Analytics group in North America, he has been in the Web Analytics space since 2002 and has worked in London, Seattle, Greece, Seattle, San Francisco, Salt Lake City, and most recently in New York. Before that Kanishka worked at Gerson Lehrman Group a pioneer in proprietary research space. Kanishka and his wife Mini live in New Jersey. Do you know what the best time to tweet is? Recently a client asked me this question and I am sure there are a lot of you wondering the same thing. When you tweet you want to make sure it reaches a lot of people (can I say that you want to get the biggest chirp for the tweet?). 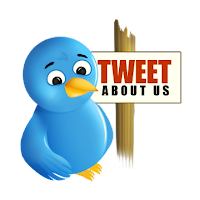 According to Gary McCaffry, based on the traffic to his site from twitter, the best time to tweet is anywhere between 9 AM – 3 PM PST. Another blogger, Malcolm Coles, who surveyed 120 twitter users to find out the best time time to tweet,, says that the best time to tweet is 4:01 PM. Fasctompany says that the best time to get Retweeted is 4:00 PM EST. Fast company also lists many other factors that can help in Retweets. According to techandlife.com, if you have a large international following then you should repeat your message, 3-4 times a day to make sure it reaches all your followers. Personally I have not followed this rule but I repeat my message at different times on different days. I guess it is time for me to do some testing. If you can identify your influencer (I will discuss those tools in another post) on twitter then you can use Tweet o’Clock to figure out when is the best time to reach your influencers. What does this all means? When should you tweet? Analyze the data and see which tweets got the most clicks, @ or RTs. Repeat this few times and see if the pattern holds. If it does then you will know the best time to tweet. Once you figure out the best time, use that time to tweet and vary your other tweet to a different time and see which one works the best (A/B testing of Tweet time).